Welcome to B & K Equipment Services, Inc.
Why B & K Equipment Services? 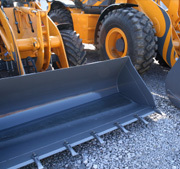 For over a decade, B & K Equipment Services has given locations in Ascension Parish and Assumption Parish an excavating contractor with the ability to perform full service construction site development for residential, commercial, and industrial building sites. Call 225-445-4625, or contact B & K Equipment Services, Inc. online. Located in Gonzales. Serving Ascension Parish, Assumption Parish, Baton Rouge, Livingston, Iberville, & New Orleans, LA. Have an upcoming new construction project?